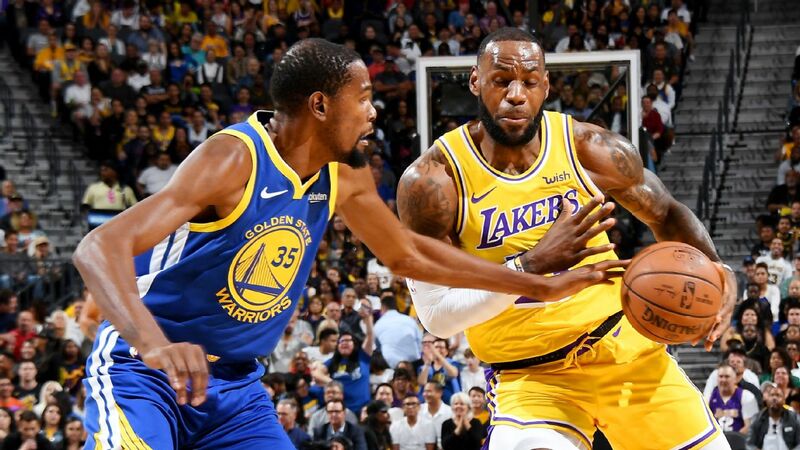 The Los Angeles Lakers haven't landed a superstar player yet to pair with LeBron James -- and Kevin Durant thinks they may struggle in that effort. In a recent interview with Bleacher Report, Durant discussed the challenges associated with playing with James. "It depends on what kind of player you are," Durant told Bleacher Report, which published its story early Wednesday. "If you're Kyle Korver, then it makes sense. Because Kyle Korver in Atlanta was the bulk of the offense, and he's not a No. 1 option at all, not even close. So his talents benefit more from a guy who can pass and penetrate and get him open." The Lakers have been linked to multiple stars since signing James this past summer. But two All-Stars available on the trade market -- Kawhi Leonard and Jimmy Butler -- both ended up being dealt to teams other than the Lakers. And despite the attraction of playing in the Los Angeles market, the Lakers are not presently believed to be the preferred destination for top free agents in 2019 like Durant, Leonard and Butler. Durant also cited the relentless media coverage of James as a potential factor that might discourage a star player from joining forces with the four-time league MVP. "So I get why anyone wouldn't want to be in that environment because it's toxic. Especially when the attention is bulls--- attention, fluff. It's not LeBron's fault at all; it's just the fact you have so many groupies in the media that love to hang on every word. Just get out of the way and let us play basketball." Established players who have the capability to adjust and mold their games will fare the best, Durant said. "Kevin Love, he had to totally change his game to fit, to be a shooter. Which, I think, he deserves way more credit for switching his game. Bosh, same way," Durant said of Chris Bosh, James' former teammate with theMiami Heat. "LeBron is a player that needs to play with guys that already know how they play the game -- and shooters. Like, young players that are still developing, it's always going to be hard because he demands the ball so much, he demands control of the offense and he creates for everybody." After Wednesday's win over the San Antonio Spurs, James declined to comment on Durant's remarks. "I would love to see the whole transcript of what was asked of him, the context it was asked of him, why it was asked and the whole thing," James said. "So I'm not gonna comment on it because I don't know the whole thing. That would be stupid on my part. I'm a veteran." Bosh, in an appearance Wednesday on ESPN's The Jump, mostly agreed with Durant's take. "KD knows the game. He's played with LeBron, actually," Bosh said. "They've won a gold medal together. So anytime you play with great players you're going to have to adjust -- point blank, period." But Bosh said free agents' thoughts on a next destination aren't set in stone. "There's still so much more basketball to play," Bosh said. "KD, Kawhi, all these guys who are going to be free agents, their mindset now is going to be totally different six months from now. So guys have to remember that. And that's not going to stop the conversation about it. But the league might change. Who know's what's going to happen in the playoffs? There's always so many different moving parts. You can never try to make up your mind and know what you're going to do in that time." Multiple other veteran players discussed the dynamic of playing with James to Bleacher Report. Raptors point guard Kyle Lowry, a teammate of Leonard's this season, described it as the "LeBron Effect." "He puts a lot of pressure on you, but he takes a lot of pressure off of you, too," Lowry said. "You know what you're getting. He's earned that, but he's human. If you're a strong enough personality, you can handle it." Suns forward Trevor Ariza said players similar to James, like Leonard and Thunder forward Paul George, could possibly be marginalized if they join the Lakers. "Guys similar to (LeBron), why would they want to play with somebody who does all the same things?" Ariza said. "I can see why they would want to play elsewhere." Lakers coach Luke Walton said he didn't read the Bleacher Report story but defended James, calling him an "incredible teammate." "He's very unselfish. He's won multiple championships with other superstars. 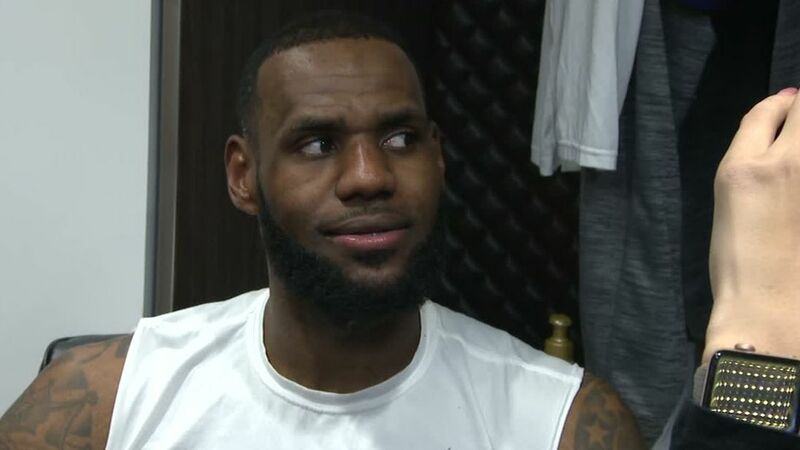 So I don't really .... Again, I haven't read the article so I can't comment on that, but what you're asking me, to me the question is, why would you not want to play with LeBron? He's a winner and he's an incredible player and he's unselfish," he said. LeBron James says he has not heard Kevin Durant's comments about him and will not speak on it because he doesn't "know the whole thing." 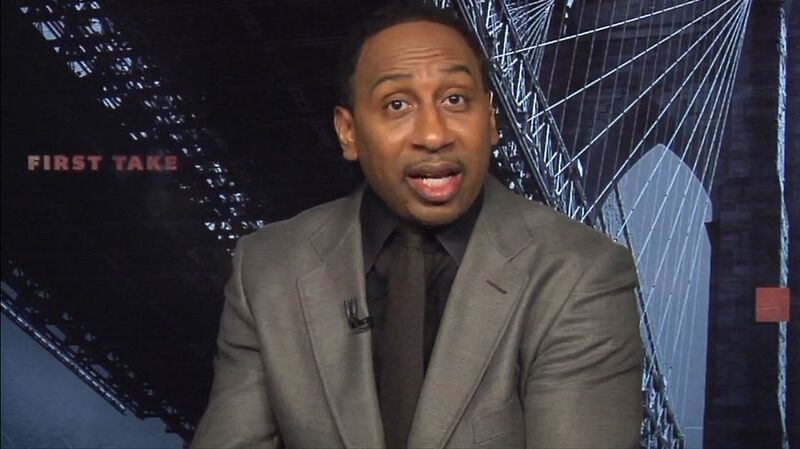 Stephen A. Smith breaks down Kevin Durant's comments about NBA players being hesitant to play with LeBron James. Do KD's comments mean he wants to play with Kawhi? 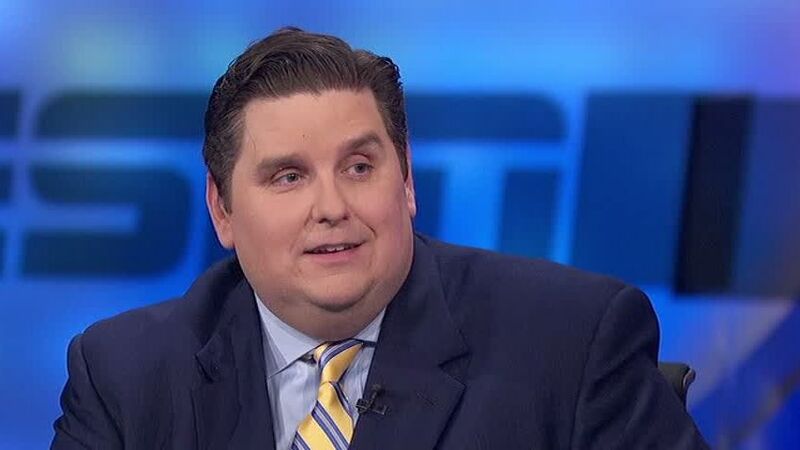 Brian Windhorst looks deeper into Kevin Durant's comments on Kawhi Leonard and LeBron James, suggesting Durant may want to play with Kawhi.